This .40 Smith & Wesson target ammunition from Magtech punches nice, clean holes in paper targets thanks to its semi-wadcutter bullets. 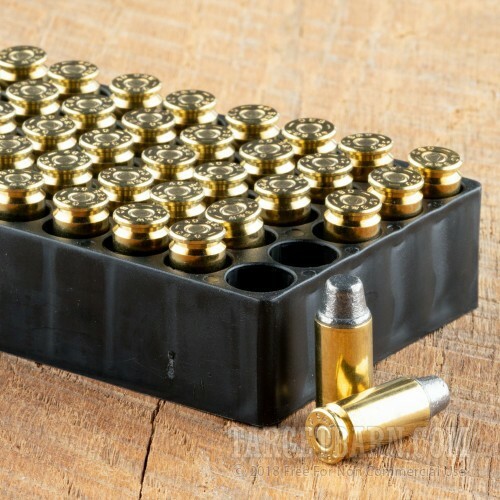 Each cartridge in this 50-round box fires a light 160 grain bullet at 1,165 feet per second. 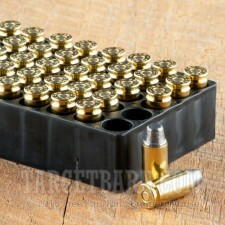 Though this is not a defensive load, it produces similar external ballistics and recoil to many popular JHPs. 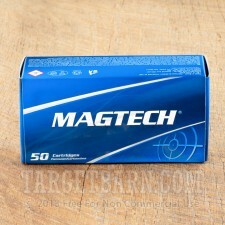 Magtech ammo is loaded in Ribeirao Pires, Brazil using non-corrosive primers and brass cases. 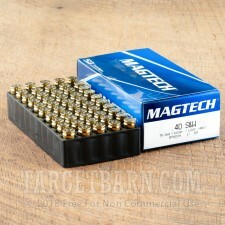 Note that unjacketed ammo is not allowed at some indoor ranges.